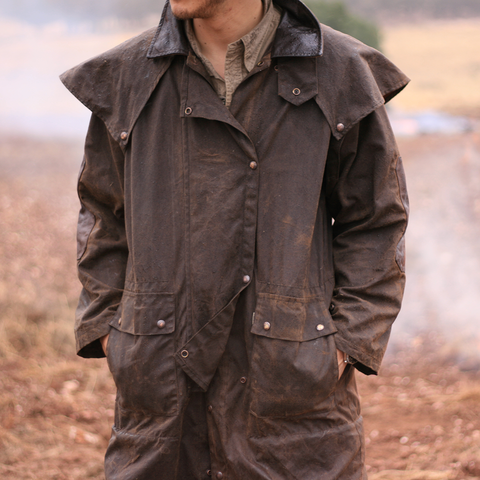 The Iron Bark Drover's Jacket is modern take on the traditional drover's jacket. Made from the same 12oz. 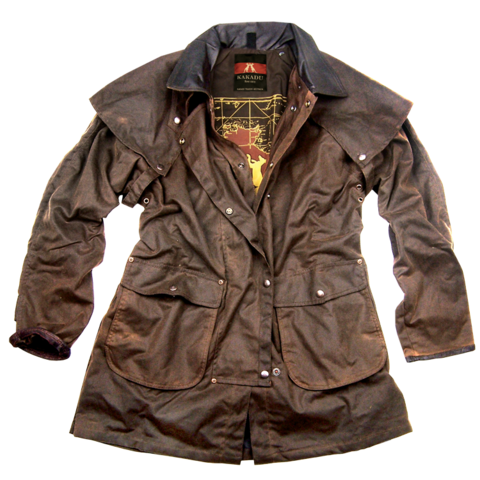 MicroWax oilskin that is renowned for its ability to shield against the elements, it is a 2-in-1 jacket that is accented with a cowhide leather collar and cuffs. It's double storm front closure repels wind and the drawcord waist traps in the warmth. Detach the cape and you're ready for a jaunt in the big smoke. It has two snap-down lower flap pockets with side entry, side access vents so you can access pants pockets with ease, and two internal pockets to store small personal items. Fully cotton lined with Australia map print. 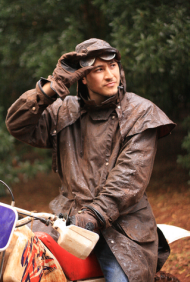 LOOKING FOR US CUSTOMER SERVICES WHATS IN STORE HOW CAN WE HELP?